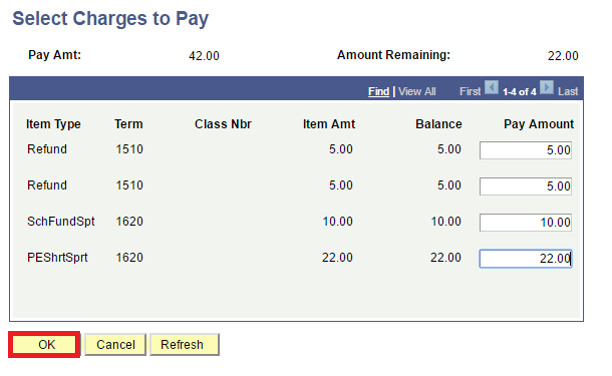 Main Menu > Student Financials > Charges and Payments > Post Student Transactions. 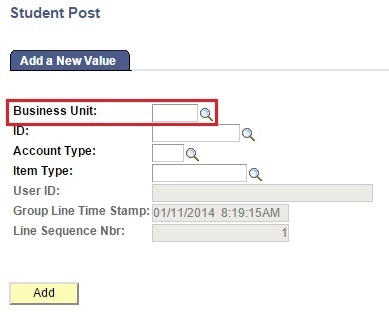 Enter a value in Business Unit field. 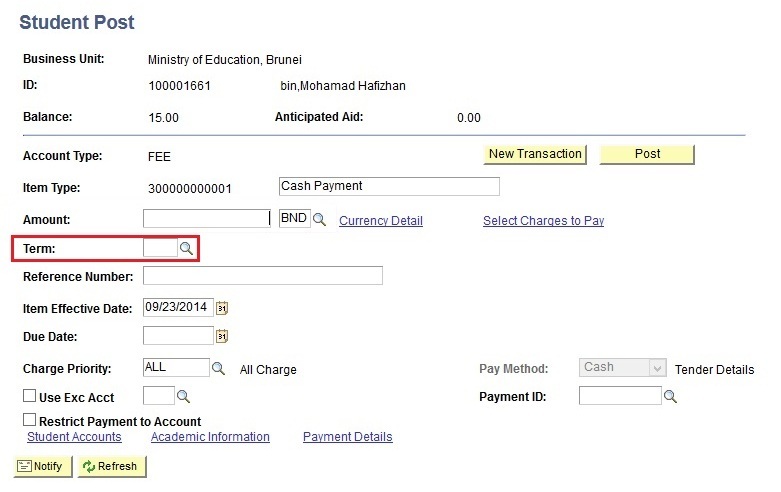 Enter a student ID in ID field. 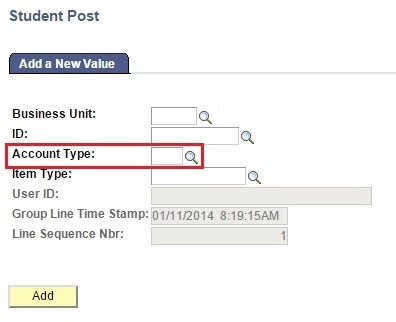 Enter a value in Account Type field. 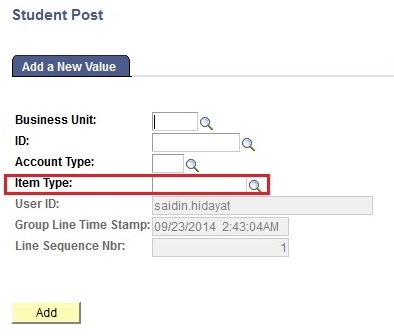 Enter a value in Item Type field. Enter a value in Amount field of the total amount. 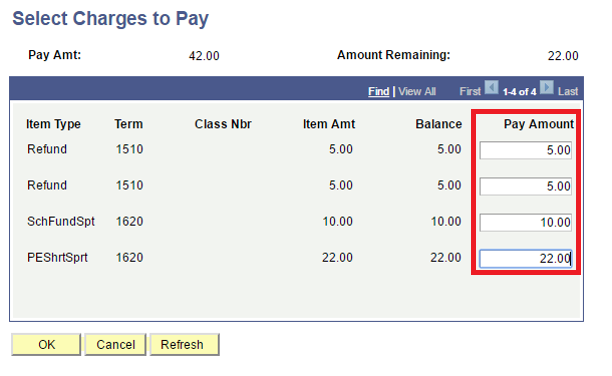 Enter a value in Term field. 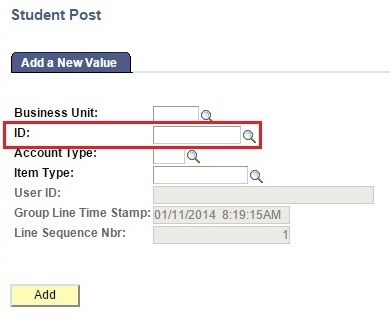 Enter a value in Reference Number field. 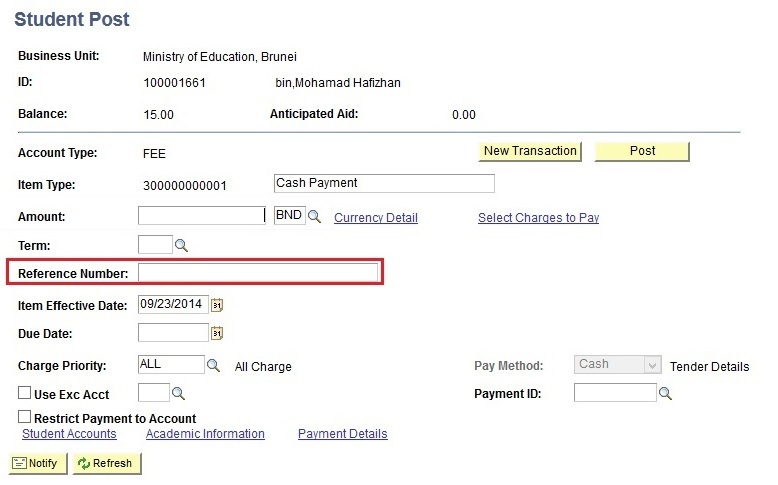 Note: Enter the Receipt No. that is given to the student. 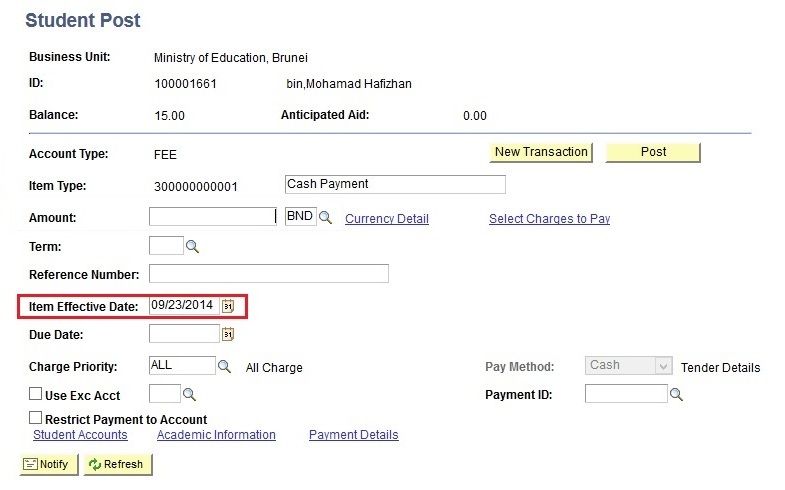 Enter a value in Item Effective Date field. 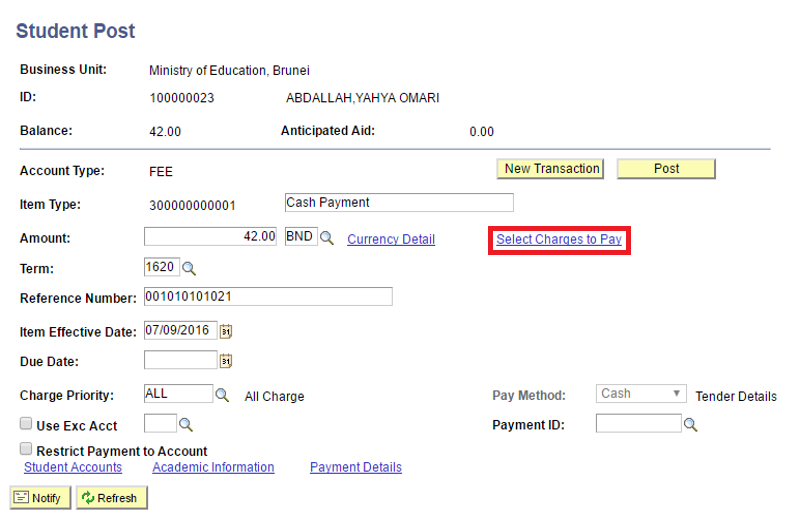 Click on Select Chargers to pay link once finished filling in the correct fields. 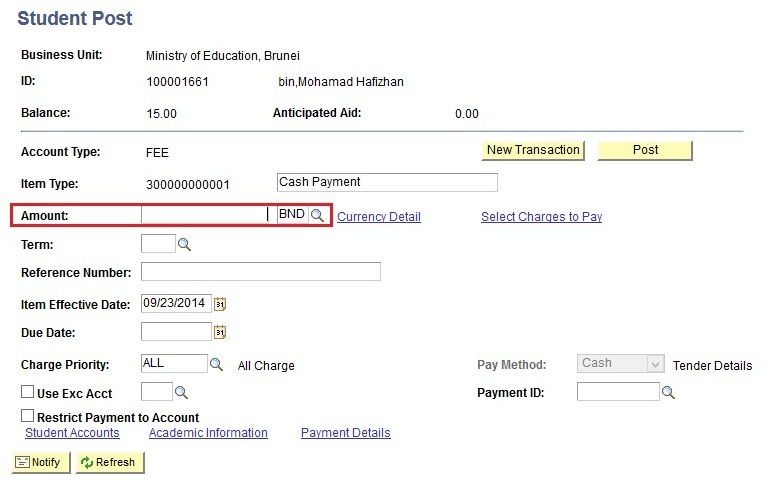 Fill in the Pay Amount fields for which the student is paying. Click the OK button once everything is done.